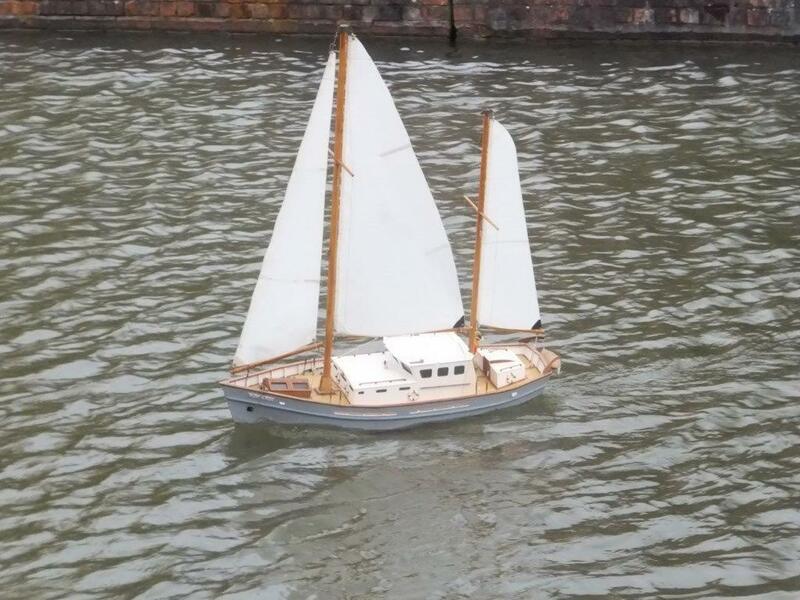 Micro Magic and International One Metre Yachts. 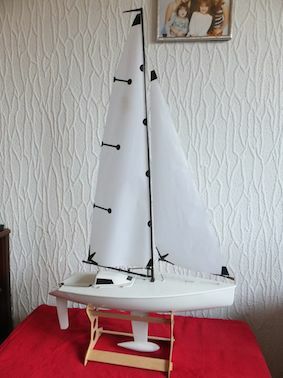 Micro Magic’s are simple straight forward models to either build or you can buy them ready to sail and be on the water for about £200.00 and come and enjoy the fun racing every other Friday or just sail for fun on other Club days at Over in the Canal Basin. This is a one-class design and cannot be altered in any way, so the race winning skill is purely in the hands of the skipper. It is permitted to buy better quality sails, but they are exactly the same size. International One Metre (IOM) yachts are raced at Club, National and International levels. They are, generally, for the more serious racer but are far more expensive. However, second-hand examples can be bought for far less and are very suitable for racing at Club level. 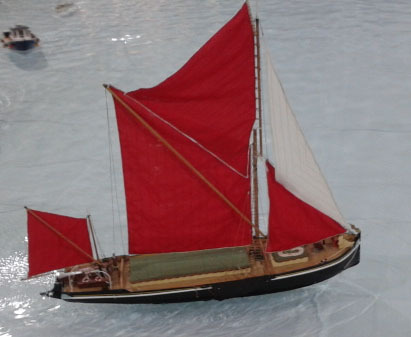 There are many different hull designs available from various suppliers, and there are three different sets of sails that can be used depending on wind conditions. 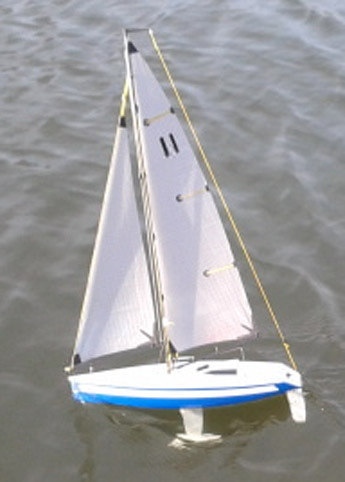 Furthermore, we are affiliated to the UK’s Model Yachting Association, an organisation that promotes and supports model yacht racing, formulates the racing and class rules, and organizes national and international championships.Sailing takes place on a private lake twice a month and access is restricted to Club members only. 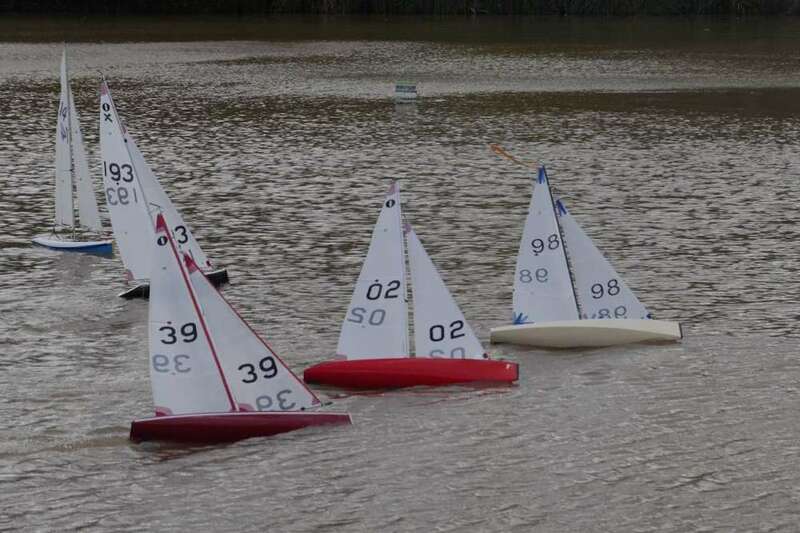 Members build and sail all sorts of sailing boats on Club days, not just the two classes mentioned above and below are samples of ones that sail. These were called ‘gunpowder barges’ as they were specifically built to take explosives down the River Lea Navigation – horse drawn, and then sailed over to Woolwich Arsenal (not the Football Club!) carrying up to 50 tons of high explosives. Very simple sail ‘stumpy’ rig, this barge still exists, based at Faversham but now with a full barge sailing rig. 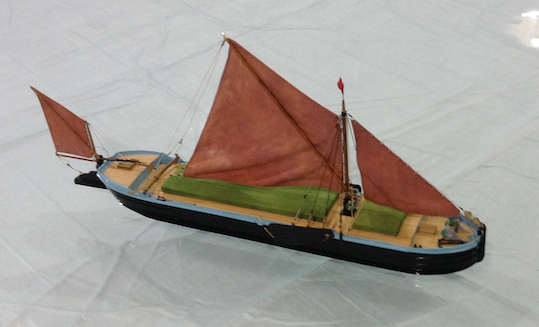 Ted’s Motor Sailer scratch built from a design in Marine Modelling, Ted doubled up the dimensions, all wood construction of the hull, sails well in high winds, the crew consists of one pirate, a parrot, a cat and several rats!